Once again atrocities have continued to mount in the Eastern part of the Democratic Republic of Congo, known as a Kivu province, writes Guy Momat reporting from Kinshasa, Democratic Republic of Congo. 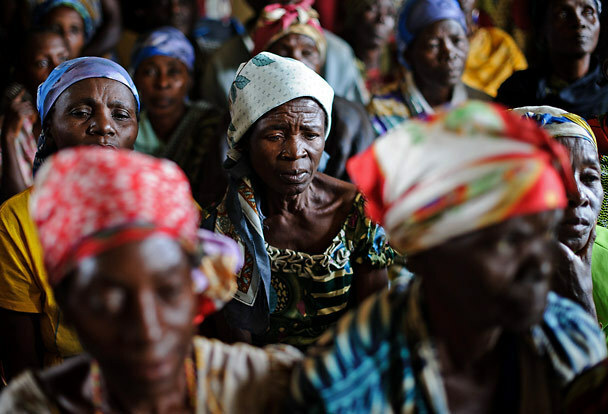 According to UN (United Nations) sources, over 260,000 people have been displaced from their homes in the last three months as a result of a new wave of violence by Rwandan proxy rebel group, the M23. The UN group of experts attached to its sanction committee said evidence cited in their recent report indicated that senior Rwandan military officers including the Minister of Defence James Kabarebe, Chief of Defence staff Charles Kayonga and General Jacques Nziza, a military adviser to Paul Kagame, President of the Republic of Rwanda, have been backing the M23 rebel group by providing weapons and new recruits from Rwanda. Various media have reported that the US had first attempted to block the publication of group of experts’ report and after pressure from the Congolese government and human rights groups have subsequently agreed to allow its publication. 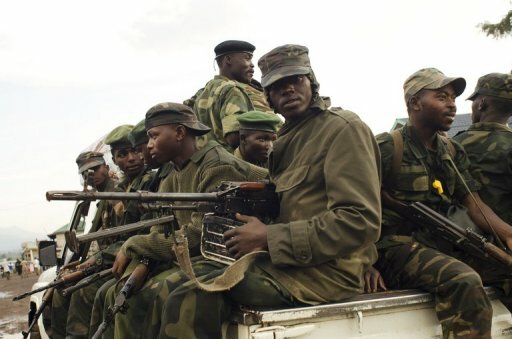 With the abundance of evidence demonstrating Rwanda’s support of criminal wars in the Congo, the British government and the US administration should clearly hold Rwanda accountable for the humanitarian suffering of Congolese people in the Eastern part of the Congo, most of whom are women and children. On Monday July 9, the recently appointed US special representative to the Great Lakes region that includes Rwanda and Congo, Ambassador R Barrie Walkley was received by the Congolese premier Minster Matata Ponyo in Kinshasa. After the meeting, the US Ambassador declared to the press: ”I am coming from Kigali, where I passed on a forceful message to Rwanda to stop any support to the M23 group. I continue to pass on this strong message”. Some organisations in the US have been calling for President Obama’s administration to fully implement the Public Law 109-456. Section 105 of that law gives power to the US Secretary of State to withhold aid from neighbouring countries deemed to destabilise the Congo, as is the case with Rwanda. This is the only law that Obama has sponsored as a senator in 2006 and is co-sponsored by the current Secretary of State Hillary Clinton. In the UK more than 20 members of parliament have joined the call to suspend financial support to Rwanda in light of the recent flood of evidence pointing to Rwanda’s military aggression in the Congo. According to the story Act now on Congo war criminals published in the Guardian on May 30, 2012, these MPs have urged the UK government to impose targeted sanctions against senior members of the National Congress for the Defence of People (CNDP) and the newly armed group M23. They want the government to support the International Criminal Court, the UN stabilisation Mission in the DR Congo, Monusco and the Congolese government to arrest and send CNDP leader Bosco Ntaganda to the International Criminal Court. They have also warned the government of Rwanda, individuals and other corporations who have funded or armed the CNDP, Ntangana and his armed group M23, to stop or face international isolation and sanctions. Talking about the Rwanda’s implication in fuelling the conflicts in the Eastern of Congo, Richard Dowden, journalist and Director of the Royal African Society, wrote this in the Independent, Monday 15, December 2008: “There is no major issue between the states of Congo, Rwanda and Uganda, but nor is there trust between them. Outsiders must help build that trust and Britain, a medium-sized player in the region, must not been seen as backing one side or the other. 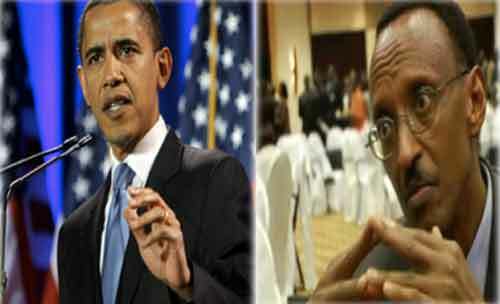 It is time to tell Kagame that if he does not rein in Nkunda, Britain will not fund his government." In the streets of Kinshasa, the capital city of the Democratic Republic of Congo, people are furious about Rwanda’s new aggression towards their country. The Catholic Church, which is highly influential in Congo, is planning a major protest called “March of hope” on August 1, 2012, against the hostile actions of Rwanda and the balkanisation of the Democratic Republic of Congo. The decision was announced during a press conference held in Kinshasa on Saturday July 21, 2012 by the General Secretary of the National Episcopal Conference of Congo (CENCO) in the Democratic republic of Congo. On July 6, the CENCO issued a public statement on the war which said “No to the balkanisation of the Democratic Republic of Congo”. This was the message sent out by Bishops in the Capital Kinshasa, at the end of the conference’s plenary assembly. In the document, the Bishops expressed their “profound consternation” over the war that has broken out again with the M23, a proxy rebel group backed by the Rwanda, which is part of a plan of the balkanisation of the DRC. Civilian group Objectif 2011 called for a national demonstration on Saturday July 14, 2012 to protest against the new Rwanda aggression using the so called M23 rebel group. More than three thousand people took part in the demonstration in Kananga, the capital city of the Kasai Oriental province. The Congolese government had called on the Congolese nation to mobilise and defeat what it calls the treat to the country’s integrity. On SaturdayJuly 7, 2012 the Congo President Joseph Kabila held a National Security council meeting in Kinshasa to discuss the security situation in the country. Congolese people have mobilised to oppose and some cases overcome external intervention especially in the Eastern part of the country. *Guy Momat is a London-based freelance Congolese journalist and media researcher. He contributes to The-Latest.Com as well as Al Jazeera/English and the BBC World Service on the African Great Lakes region.